Welcome to the world of Current Affairs 2017. 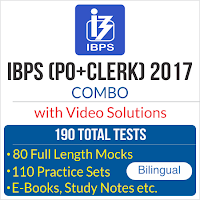 With IBPS RRB PO and Clerk Mains round the corner, it should be your priority to cover every aspect of Current Affairs on a daily basis for IBPS RRB PO and Clerk Mains so that you can do well in the exam. These current affairs are based on current news. Let us see how many questions you attempt accurately. Q1. In which city, the 17th Meeting of the Financial Stability and Development Council (FSDC) was held recently? Sol. The seventeenth Meeting of the Financial Stability and Development Council (FSDC) was held in New Delhi under the Chairmanship of the Union Minister of Finance, Shri Arun Jaitley. A brief report on the activities undertaken by the FSDC Sub-Committee Chaired by Governor, RBI was placed before the FSDC. Q2. NITI Aayog launched a campaign which is a strategic nation building initiative to engage leaders who can guide and mentor students at more than 900 Atal Tinkering Labs. What is the name of that campaign? Sol. NITI Aayog launched the 'Mentor India Campaign'. It is a strategic nation building initiative to engage leaders who can guide and mentor students at more than 900 Atal Tinkering Labs, established across the country as a part of the Atal Innovation Mission. Q3. The Indian Council of Medical Research (ICMR) and the Union Ministry of Health inked a pact with the International Vaccine Institute (IVI) of which country to collaborate on vaccine research and development? Sol. The Indian Council of Medical Research (ICMR) and the Union Ministry of Health inked a pact with the International Vaccine Institute (IVI), South Korea to collaborate on vaccine research and development. Q4. Name the Former Manipur Chief Minister and a member of the first LokSabha who passed away recently. Sol. Former Manipur Chief Minister and a member of the first LokSabhaRishangKeishing passed away following a brief illness. The veteran Congress leader was 96. He served as the Chief Minister of Manipur from 1980 to 1988 and from 1994 to 1997. Q5. Union Minister of State (IC) for Power, ShriPiyushGoyal has recently addressed the 3-day 8th World Renewable Energy Technology Congress in New Delhi. The theme of the conference was ______________. Sol. Union Minister of State (IC) for Power, ShriPiyushGoyal has recently addressed the 3-day 8th World Renewable Energy Technology Congress in New Delhi. The theme of the conference was "Renewable Energy: What Works". Q6. Name the Chairman of the Railway Board who resigned recently. Sol. Ashok Mittal, Chairman of the Railway Board resigned recently. His resignation comes in the wake of a number of high-profile accidents and derailments on the Indian Railways. Q7. 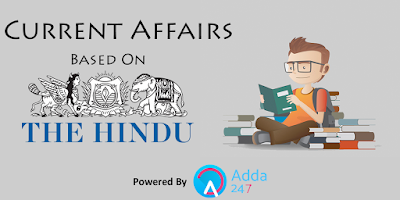 The Minority Affairs Ministry of India has recently decided to proffer ___________ percent reservation for girls at 100 Navodaya-type schools and five higher education institutes. Sol. According to Union minister Mukhtar Abbas Naqvi, the government has decided to proffer 40 per cent reservation for girls at 100 Navodaya-type schools and five higher education institutes it plans to set up for minority community students. Q8. Name the actor who has been recently named as the highest-paid leading man, earning $68 million pretax in 12 month scoring period, according to the Forbes list. Sol. According to the Forbes list, the former rapper-turned-actor Mark Wahlberg is Hollywood's highest-paid leading man, earning $68 million pretax in 12 month scoring period. Q9. Name the New Zealand's oldest cricketer (100 Years) who has passed away, recently. Sol. New Zealand's oldest cricketer Tom Pritchard has passed away. He was 100. Pritchard claimed 818 wickets across 200 first-class games, including 695 during a decade of service at Edgbaston. Q10. The Present CEO of NITI Aayog is _____________. Sol. The Present CEO of NITI Aayog is Shri Amitabh Kant. Full form of NITI Aayog is National Institution for Transforming India. Q11. Name the actor who has been recently named as the highest-paid leading man from Bollywood in India. Sol. The former rapper-turned-actor Mark Wahlberg is Hollywood's highest-paid leading man, earning $68 million pretax in 12 month scoring period. From India, Shahrukh Khan is the highest paid actor (Rank 8) followed by Salman Khan and Akshay Kumar. Wahlberg has replaced out last year's top-ranked star, Dwayne "The Rock" Johnson. Q12. Who among the following is the newly appointed Chairman of Railway Board of India? Sol. AshwaniLohani, the CMD of Air India has been named as the new Chairman of Railway Board, following the resignation on A.K. Mittal. AshwaniLohani, an IRSME cadre has previously served as DRM, Delhi Division. Q13. Name one of the most prolific and influential science fiction writers of the 20th century who has passed away recently aged 92. Sol. Brian Aldiss, one of the most prolific and influential science fiction writers of the 20th century, has died aged 92. Born in 1925, Aldissserved in India and Burma with the British Army during World War II and later became a bookseller, publishing his first stories in a trade magazine. Q14. Name the Program that Human Resource Development (HRD) Ministry has recently launched in Kochi, Kerala to prepare a physical Health and Fitness Profile Card for Kendriya Vidyalaya students. Sol. Union Minister for Human Resource Development (HRD) PrakashJavadekar launched the ‘SwasthBachche, Swasth Bharat’ Programme in Kochi, Kerala. Javadekar also launched the Health and Fitness Profile Card along with the programme. The programme is an initiative of Kendriya Vidyalaya Sangathan(KVS) to prepare a physical Health and Fitness Profile Card for more than 12 lakhs of Kendriya Vidyalaya students. Q15. National Sports Awards were given recently to recognize and reward excellence in sports. Selection Committee for Rajiv Gandhi Khel Ratna Award and Arjuna Awards was headed by ___________. Sol. National Sports Awards were given recently to recognize and reward excellence in sports. Selection Committee for Rajiv Gandhi Khel Ratna Award and Arjuna Awards was headed by Justice C.K. Thakkar. IBPS RRB Apply Online Now! Get complete information on IBPS RRB 2017!